The Tate is showing the first ever international full-scale survey of Mira Schendel’s work. The artist Mira Schendel is a towering figure of Brazilian modernism, cited as a significant influence by many younger artists – and yet even in São Paulo, the majority of her works are in private collections, rather than on public display; and, Laura Barnett wrote in the Guardian recently, she has never been given a major solo retrospective outside Brazil. The Tate Modern is about to change that. This month a wide-ranging exhibition of Schendel’s work will open. Schendel’s artistic output? Colourful abstract canvases, in an almost figurative style; sculptures made from intricately knotted rice paper; huge, transparent “graphic objects” mounted on sheets of glass; hundreds of monotype prints; and complex paintings exploring diverse religious and philosophical themes, from the writings of Heidegger to Catholicism and the I Ching. Tanya Barson, curator of international art at Tate Modern, with a special interest in Latin America, told the Guardian “What’s remarkable about Mira is that she was affirming a new line in Brazilian art: one preoccupied with ontology, and one that had a certain softness and delicacy. Born in Zurich in 1919, she was the only daughter of Karl Leo Dub, a fabric merchant, and Ada Saveria Buettner, a milliner. Born Jewish in Switzerland, raised a Catholic in Italy, she was forced to forced to leave university in Milan in 1939 when Mussolini introduced anti-semitic legislation, and fled Italy in 1941, travelling through the Alps on foot. She reached Brazil, in 1949. She was 30 years old, and a refugee. Brazil saw a great influx of European intellectual and cultural émigrés because of the Second World War. “Incredible people” went there and found possibilities in being an artist and being Brazilian, Barson explained in the Independent recently. And, she added, a significant number were women. She cites the architect Lina Bo Bardi (originally from Italy), artist Tomie Ohtake (from Japan), photographer Claudia Andujar (Swiss) – as well as the Brazil-born artists Lygia Clark and Lygia Pape – as examples. As well as being one of Latin America’s most important she was one of the most prolific post-war artists. And with her contemporaries Lygia Clark and Hélio Oiticica, Schendel reinvented the language of European Modernism in Brazil. Her friends included theoretical physicist Mário Schenberg, philosopher Vilém Flusser, psychoanalyst, poet and critic Theon Spanudis and Concrete poet Haroldo de Campos. She made her work in her kitchen, and stored it in her living room. Her daughter Ada recalls her working at the kitchen table, covered with an ordinary, plastic, floral patterned tablecloth. And she was incredibly prolific, producing up to 4,000 works, right up to her death. 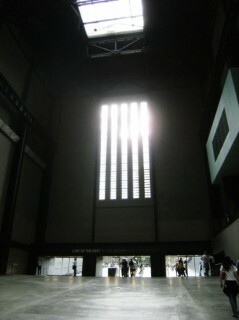 So the Tate Modern’s big autumn exhibition really is just literally big: over 250 of Mira’s works, in 14 rooms. Barson’s approach was to select several different series, and then show 10 or 20 related works from within them. “We choose things that are emblematic of different aspects of her career,” she explained. This is the first ever international full-scale survey of her work. It brings together over 250 paintings, drawings and sculptures from her entire career, including works which have never been exhibited before. The Mira Schendel exhibition is at the Tate Modern, London, from 25 September 2013 until 19 January 2014.